We service but not limited to the five boroughs of NYC; Brooklyn, Queens, Manhattan, Staten Island and the Bronx. What dumpster sizes can I rent for my project? 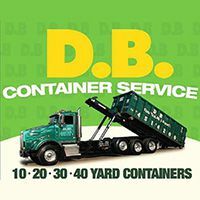 We offer 10 yard dumpsters, 15 yard dumpsters, 20 yard dumpsters, 30 yard dumpsters and 40 yard dumpsters. Can the dumpster be delivered same day? Our staff will do its best to accommodate our customers delivery needs including same day service. We suggest calling our office as early as possible the day of as dumpsters are available according to supply and demand. When possible, 1-2 day notice is greatly appreciated.